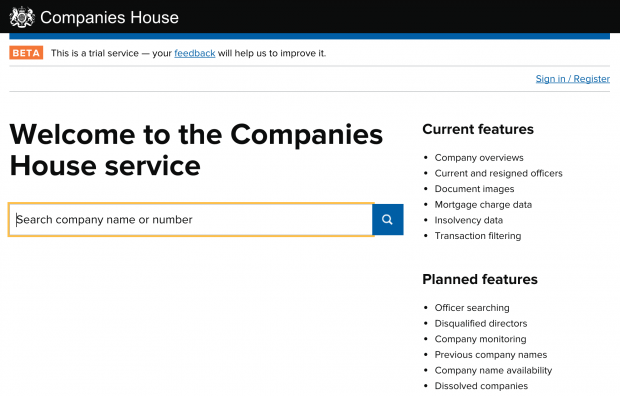 Congratulations to the team at Companies House for taking their new free information service into public beta today. From today you can now access all digital data free of charge … some 170 million company records. This makes the UK register one of the most open in the world and the UK economy one of the most transparent. I urge you to try it out for yourself. It’s fast, it’s free (in the past, you had to pay - but that's all changed now) and is a pleasure to use. Enter any company name, and you can get your hands on a pile of public data about that company: documents filed, company officers present and past. All of this is public data, it’s all been in the public domain for years. But it's never been so simple and straightforward to actually see it. The team at Companies House have done this project the right way. They went through an iterative design process, with discover, alpha and beta phases. They did lots of user research (in their own in-house lab). They iterated in response to feedback (for example, enabling legislative changes to ensure that dates of birth stored as part of the dataset can't be misused). 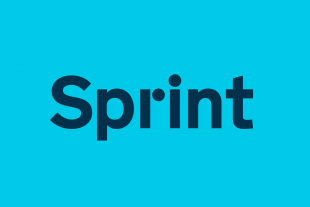 It’s more than just a website: it's also an API. A register of data open to humans and computers. That's crucial. That means that third parties (consumers and technology providers) can get access to real-time updates from the registry. Stop for a moment and think about that: real-time access to reliable, dependable government data, via a standardised digital interface. This is what registers are for. This is the model for registers of the future. Tim and his team deserve our respect and support because it's taken them a long time (almost a decade) and a lot of hard graft to change their business model and their processes. They're laying the groundwork for not just their own future - as the organisation best placed to become central holder of the UK business register - but for many others across the public sector to follow in their footsteps. One day, all registers will be like this. Tim completely understands what it means to be a registrar and what it means to provide a register in the digital age. It's all about the data. It's all about finding ways to make that data available to others - so that a new ecosystem of services and products can be created on top of it. Data is the foundation of that ecosystem. Stored separately, but open to all. It's another strand to our vision of Government as a Platform: small pieces, loosely joined. This is one small piece that I'm very pleased to see. I must say that I am very impressed. For anyone interested in a few specific companies this is a great improvement, though the companies that made money reselling documents will probably not agree! That does raise an interesting point though. Part of the justification for open data is that businesses can take the data and add value, thereby boosting the economy. In a sense what we have here is something that cuts out the middle person, thereby reducing a business opportunity. The hope must be that what the end users are able to do, or continue to do but at reduced cost, will more than compensate for that. I suspect that if the data were made available as a free bulk download, the existing resellers of bulk information would continue to dominate onward information provision of bulk data, as replication or improvement of the front ends that they offer would be a substantial task for any prospective rival. The IDBR, as used by ONS, remains unavailable as far as I know. The reason given used to be that some of the data for the smallest companies were effectively personal data and perhaps there is concern about floods of junk mail. But is there a case for releasing basic data for businesses above a certain size which is where most of the interest would lie? 2. Good use of hypertext links. 3. Free data; no more visits to Companies House offices to obtain non-Internet available details or having to pay a private company for the information. 4. From a computer person's very long experience, I think the changes are impressively good. I'd love to see this data available as a bulk download and with an open licence.